Initially, including a live chat functionality as part of a web page was considered as pure luxury. The site owners who had money were the ones who could afford it. However, that trend and understanding seem to have changed, as live chat modules appears as one of the fastest communication channels between customers and their providers. Including a live chat to your web page does not only make your web page look lively, but it also ensures that business runs smoothly by ensuring that customers get answers to their questions just in time. While it is always beautiful to incorporate a live chat functionality to your website, it’s mostly intimidating for some people to start thinking of how to put the structure together. If you do belong to this category of web developers, then today is your lucky day. 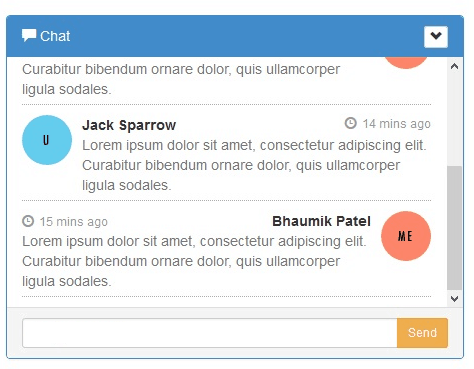 We’ve got some nicely built 12 Bootstrap Chat Templates for your choosing pleasure. 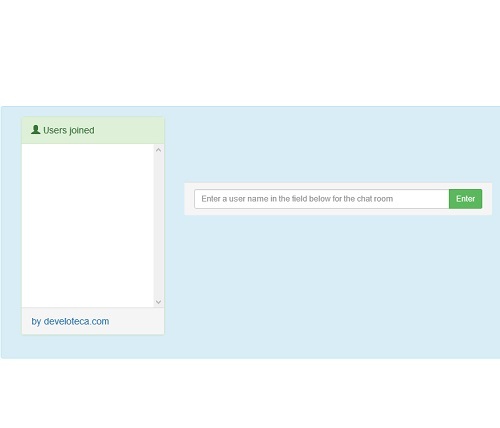 Setting up these Free Bootstrap Chat Templates can be as easy as you can guess. For starters, their implementation is easy enough; with zero coding, your chat modules will be up and ready in just a matter of hours. Before we hit the button on knowing our various chat templates, let’s take a quick dive into some of the mouth-watering benefits of having a live chat feature on your website. If people get quick answers to all their questions, then it’s bound to translate to a higher conversion rate. Neon Chat API is certainly going to get you thrilled. Its mature dark background and contemporary looks makes it an excellent template anytime any day. This template also does not give any problems with back end integration. Request for a robust looking template for your chat modules and you will get yourself the Angular / Bootstrap chat free template. You know how developers regard Angular related scripts to be very smart and more engaging. 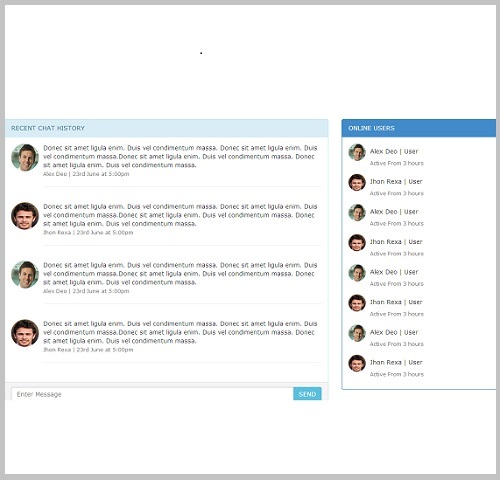 This is a template that you would want to explore because of its rich user interface and plenty chatting tools. By merely looking at the image below, you can quickly tell that this chat template is a simple looking template. 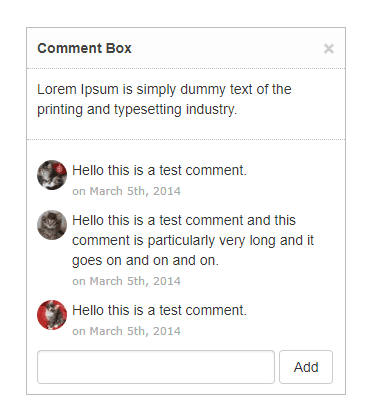 It’s got a jQuery plugin that help bring it to life in the shortest possible time. It is being regarded as a popular choice because it has got a self-explanatory interface that can be understood by any user. Take this Bootstrap chat template, and all you need to do is carry out some customizations the way you want it and you are good to go. With its white background and black colored text, this template will always give users that lasting satisfaction anytime they log a message to the server. This template works with back end technologies like ASP, PHP and the likes. Node.js bootstrap has a dashboard that makes it extremely easy for anyone to manage. You do not need any extra work to get it working for you. Just get the template and add a few tweaks here and there and your chat system would be up and running in no time. As an online business person, you may need to start thinking in the direction of this chat template. 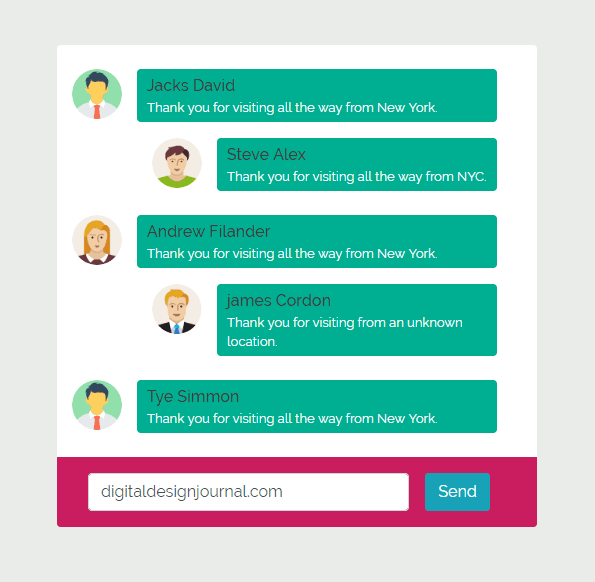 The beauty of any chat system is the ability of users to interact with each other in real time, and this template brings you the best of such functionality. 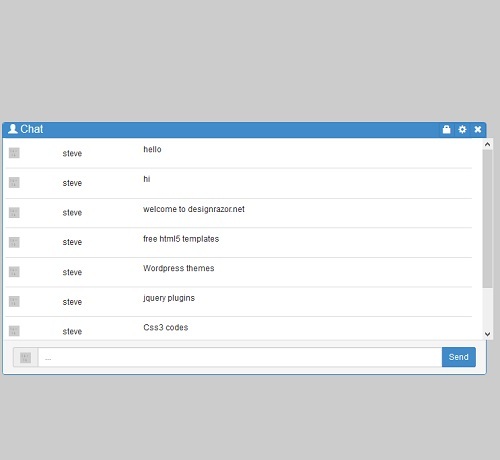 You can change your online business by saving time and promoting effective communication between you and your customers with this freeBootstrap chat template. 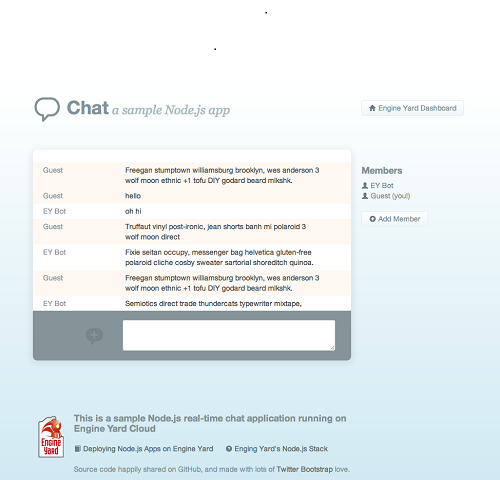 This is another chat template that features a whole lot of chatting tools for your using pleasure. Although it has got an interface that is not too compliant with the modern chat platforms, it’s got some fantastic qualities of its own like linking up with other social media platforms with great ease. 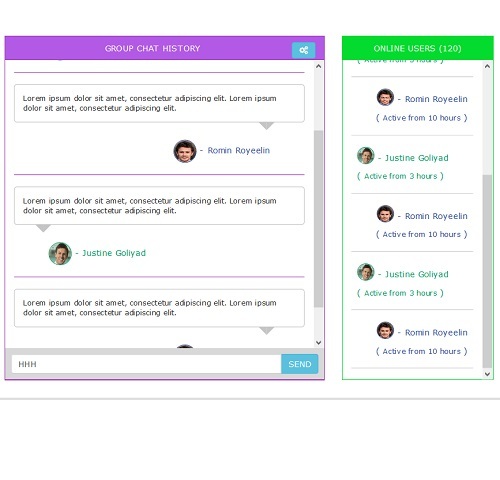 There are a couple of bootstrap templates that are very easy to use, and Minimal Bootstrap Chat Template is one of such templates. 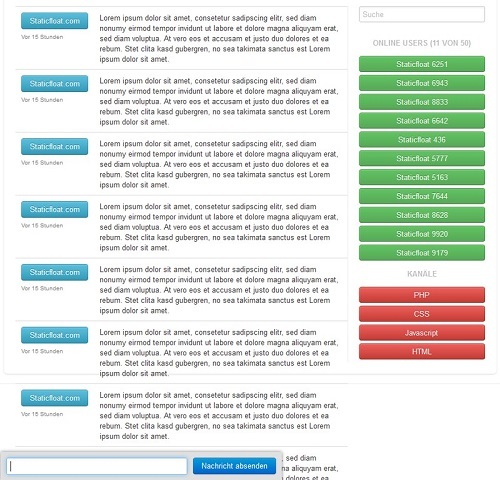 It’s got a fantastic HTML code structure that makes it integrate nicely with web pages. 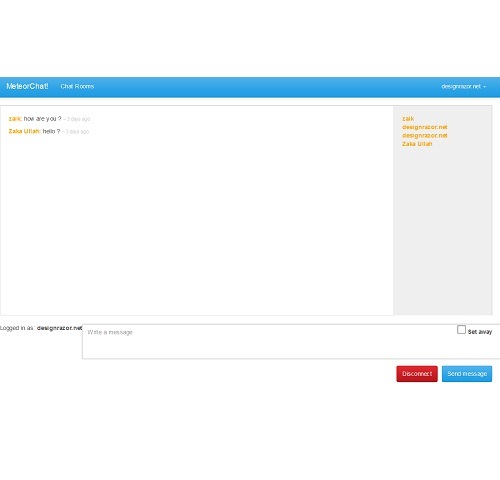 This chat template has been put together with Bootstrap version 3.2. The compelling and enticing user interface also makes it a great choice for any e-commerce endeavors. 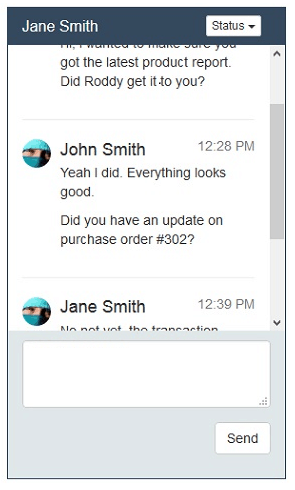 The Chat Panel template is certainly going to get the best of your customers’ attention because of the way it is built. The chat layout is quite a masterpiece and it also wears the face of a contemporary chat system. Another plus is that it is quite easy to customize for your use, so you shouldn’t have any problem getting it to work for you the way you want. Most chat templates do come with their different styles and design patterns, and this particular template has certainly got some unique styling up its sleeves. It has got a great user interface that can be integrated into your website with great ease. If you have been looking forward to having a great chatting module on your website, but you are not sure how to achieve your objective, you could start with any of the above templates. 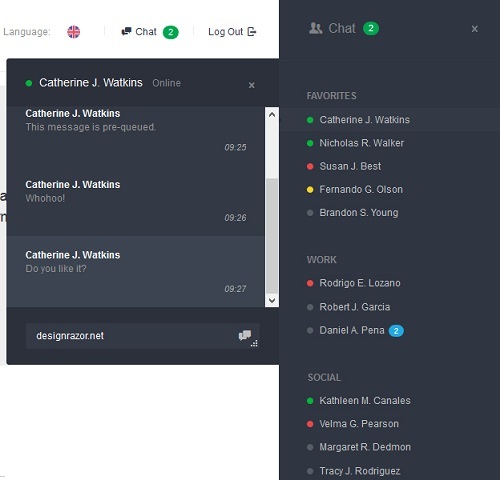 All the chat templates mentioned above come with good features, rich user interface and are easy to make use of.